One of my brushes with fame is when I met Gregory Peck. 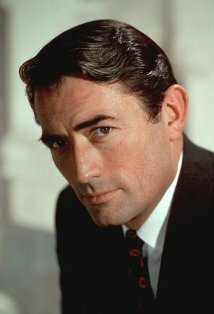 Several years ago he came to Portland to present his one man show called something like An Evening with Gregory Peck. I had to see him. More than that I wanted to meet him. How to finagle that? I would serve as a volunteer usher at the theater! The voice mail I left for the volunteer coordinator was so “hilarious” (wasn’t really trying to be hilarious) he put me ahead of other people who called to volunteer. The afternoon of the performance we arrived for a dry run. While standing in the lobby HE walked in with an entourage. OMG! (I know it’s really over used but OMG!) He looked like a big, dreamy movie star. He must have been about 84 years old but he still had it. He and his personal assistant, Nancy (a clenched-jaw WASPy-type), were introduced to all of us. We each tried to stammer out the same sentiments which were something like, “Mr. Peck, it’s such an honor to…and you are so…I loved you in…” Nancy really efficiently put the kibosh on that kind of talk. She shook her head at our little group and frowned as if to say, “Good lord, he’s only heard that babble about a million times.” What she did say was, “Alright, then. Greg, let’s go in the theater.” We were allowed in and instructed to sit quietly while they did the sound and lighting check. Standing on the stage he spoke in that amazing Gregory Peck voice. 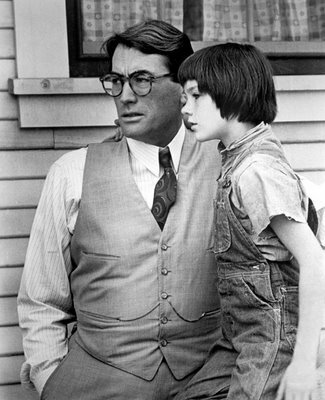 Sitting there, watching and listening to him I saw Atticus Finch (To Kill A Mockingbird). 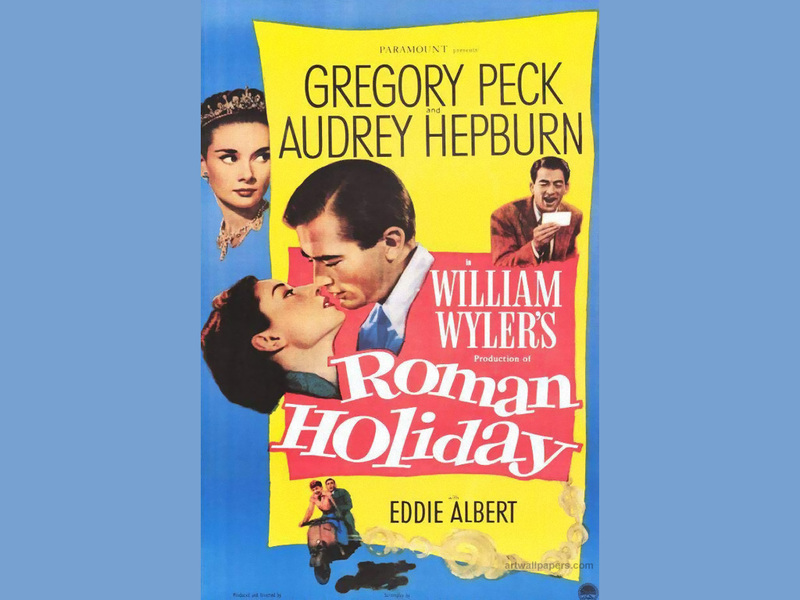 I saw Joe Bradley (Roman Holiday). I saw Captain Keith Mallory (The Guns of Navarone). I saw Commander Dwight Lionel Towers (On The Beach). I saw Lewt McCanles (Duel in the Sun). I saw Sam Bowden (Cape Fear). I even saw Robert Thorn (from that crappy film The Omen). During this Nancy yelled to him from the back of the theater “I am going to the bathroom!” There was no indication he heard her. 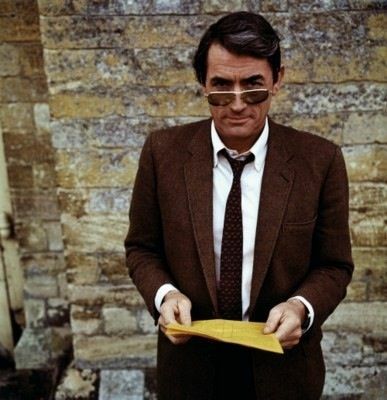 Here is my chance to talk directly to Gregory Peck! I stand up and yell, “She’s in the bathroom!” He looks in my direction with a quizzical expression on his face. Then complete silence in the theater from the twenty or so people standing about. Then, “Greg (I can tell it’s Nancy and she sounds pained, tired and hateful all at once) I’m in the balcony.” I look up and there she is leaning over the rail. She briefly and disdainfully looks at me. I am horrified! I want to crawl under the seat. I want to die. As I was leaving I asked the volunteer coordinator if I could come back for the performance that evening. He acted like he didn’t know what I was talking about. Actually, no one said anything about it. It was like it hadn’t happened. Maybe it wasn’t as bad as I thought. I came back for ushering duties and An Evening With Gregory Peck. His performance is a blur. I just know it was magic. After it was over I was sitting with some ticket paying friends regaling them with my “conversation” with Greg. They were dying laughing. I noticed my fellow ushers across the aisle were in hysterics. In fact, one of them was crying he was laughing so hard.